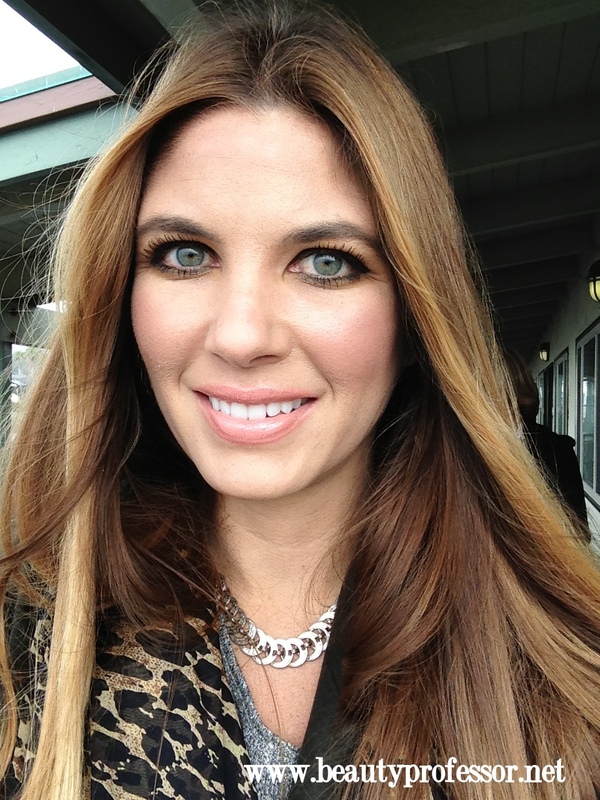 This video discusses my top beauty products for 2012, separated into 12 categories! 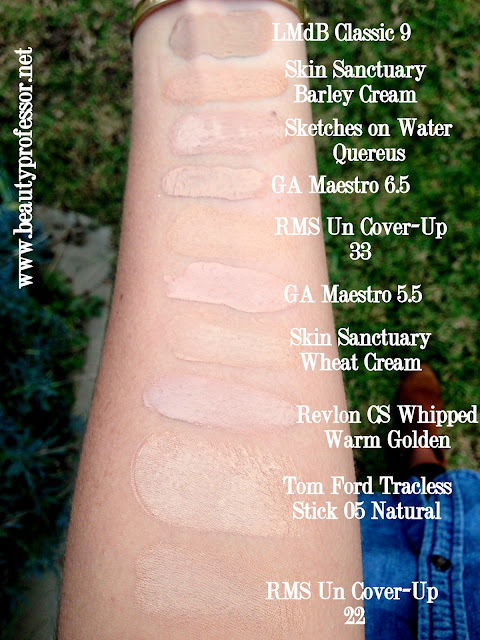 Rouge Bunny Rouge Skin Sanctuary Review...and a Host of Foundation Swatches to Boot! I couple of weeks ago, I received samples of the Rouge Bunny Rouge Time Defying Skin Sanctuary Foundation. My initial post, featuring swatches of the four shades can be found HERE. Since then, I have given this foundation a proper try and am excited to weigh in on the coverage, finish, shades, lasting power and overall effect of this promising new product! The Skin Sanctuary Foundation provides medium to medium-full coverage with a single swipe. This was the first noticeable difference between this and the Rouge Bunny Rouge Milk Aquarelle foundation (which I own in Chesnut Milk, a light beige shade approximately in the NC25 range). Milk Aquarelle's more gel-like texture offers buildable medium coverage. The finish of Skin Sanctuary is a lovely satin-matte...there is no need to set this foundation with powder, as it creates a matte, yet natural looking visage. It is similar in "matteness" to the Giorgio Armani Maestro Makeup, though the Maestro is a decidedly thinner consistency. 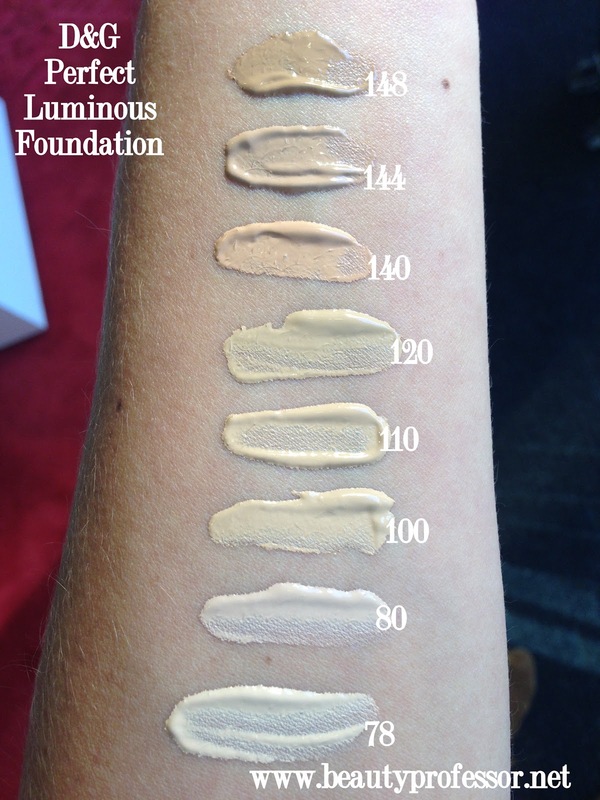 The most significant drawback to this foundation is the fact that it, as of publish date, comes in only four shades, all in the NC/NW20-NC/NW35 range. Although this reality is fantastic for those in the light to medium skin spectrum, those with very fair or darker skin will have great trepidation finding a match. 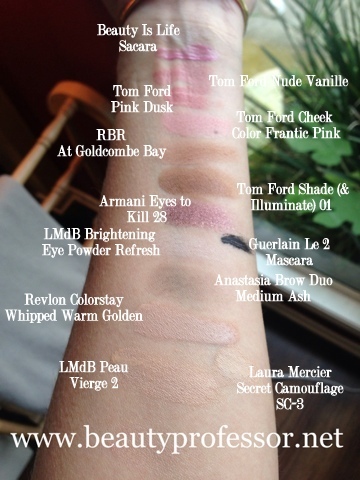 I am hopeful that, in the near future, Rouge Bunny Rouge releases additional shades to address these needs! **For a bevy of swatch comparisons in a variety of foundation formulas, do scroll on! Skin Sanctuary is a medium to long-wearing foundation! I found that, when applied over a primer (in this case, Le Metier de Beaute Peau Vierge #2), I got 7 or 8 hours of wear time without fading, patchiness, or turning into an oil slick. In addition, this wears comfortably. My skin stays balanced, hydrated and healthy looking for the duration of wear and even feels great after I remove the foundation with my trusty Koh Gen Do Spa Water. This is longer-lasting than the Milk Aquarelle formula (which gives a respectable 4-5 hours of flawless wear, though dewiness sets in after a few hours!). This is a beautiful foundation...since I prefer medium to full coverage foundations and appreciate products with wear time longevity, I think I like this (dare I say it?!) a tinge more than the Milk Aquarelle. I hope to get my own bottle in Wheat Cream (a perfect match for NC25 skin) soon! Above: Swatches of foundation in the NC/NW 20-NC/NW 30 range. Above: Close up of watches of foundation in the NC/NW 20-25 range. 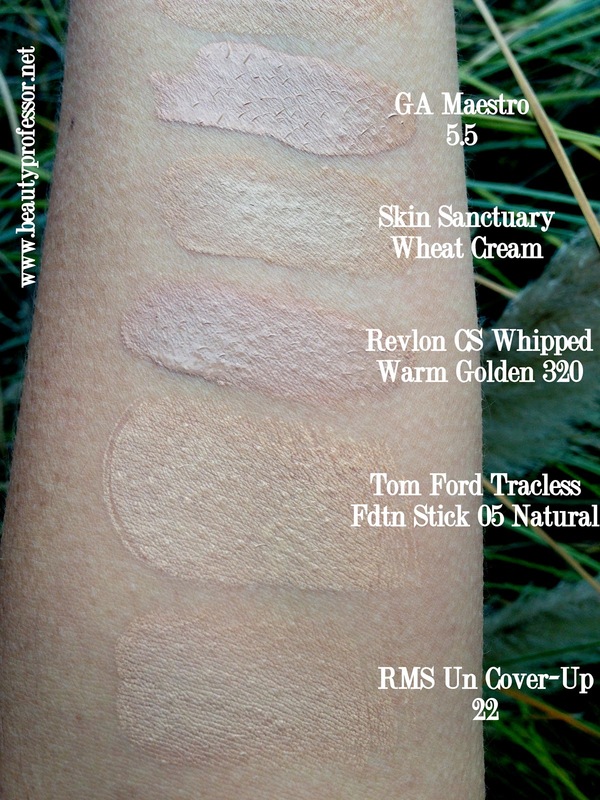 Above: Close up of swatches of foundation in the NC/NW 25-NC/NW 30 range. Above: Swatches of foundation in the NC/NW 25-NC/N35 range. 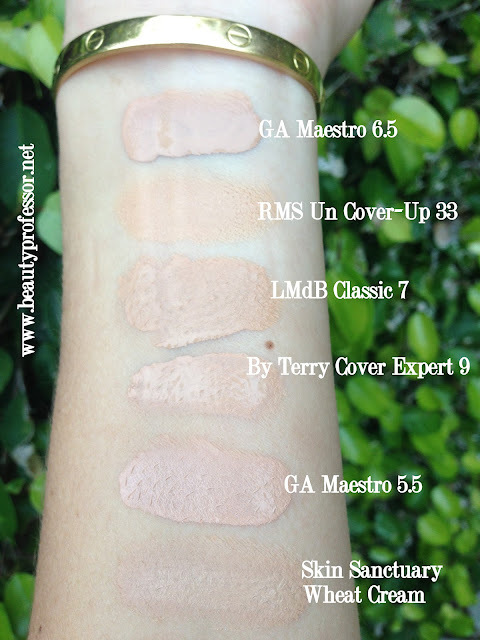 Above: Close up swatches of foundation in the NC/NW 25-28 range. Above: Close up swatches of foundation in the NC/NW 30-35 range. Above and below: Taken indoors with outdoor lighting streaming through...this foundation provides a naturally polished look! The next three pictures were taken outside in indirect sunlight! Bottom Line: I am very pleased with Rouge Bunny Rouge's latest foundation installment. The coverage, wear time and finish of Skin Sanctuary are just brilliant and the additional skincare benefits make this a foundation to covet! 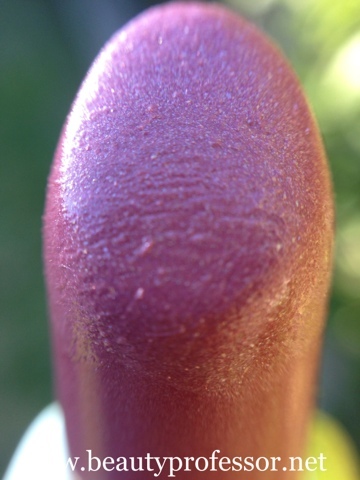 Guerlain Rouge Automatique #601 Romance...Purply Pink Goodness! Like every good Spring 2013 collection, Guerlain released their's just in time for Christmas! In addition to the MaxiLash Mascara (full review coming soon! 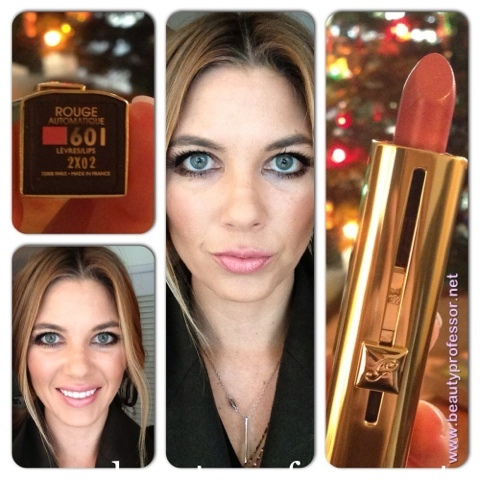 ), my eye was caught by one of the four special release lipsticks...in this case, Rouge Automatique in #601, Romance. I have been intrigued by the exceptional gadgetry of the Rouge Automatique packaging (rivaled only by the satisfying clickiness of Chanel's Rouge Allure), but, up to this point, had not found a shade to buy. Either too sheer, too shimmery or too dark, the Guerlain RA colors were just not for me! 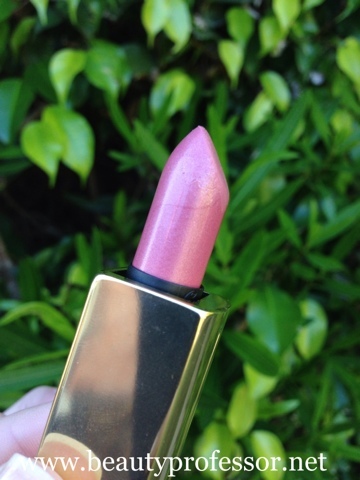 Cue to the entry of Romance, a lovely pinkish purple that takes me back to the rosy lilac loveliness of my lipstick choices in high school and college (e.g., L'Oreal Sealilly and MAC Up the Amp, respectively). The Rouge Automatique formula is hydrating, medium coverage, has decent lasting power and a beautiful semi-glossy finish. Since receiving it as a Christmas gift (thanks, mom and dad! ), I have worn it multiple times this week...it is a gorgeous shade on its own or under gloss...lately, I've been combining it with Tom Ford Naked gloss! The next three images were taken with my new Olloclip lens for my iPhone 5 (thanks, husband! )...the macro feature is pretty amazing! 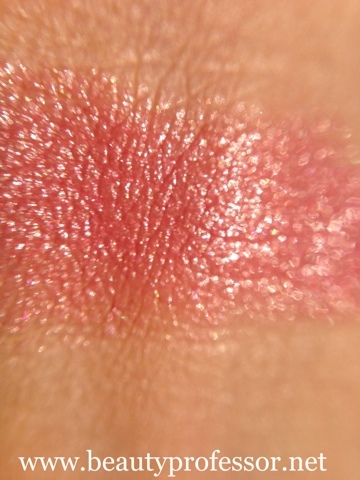 Above: Swatch of Guerlain Rouge Automatique #601 Romance in direct sunlight. Above: Swatch of #601 in the shade. Above: A little collage fun with #601! Bottom Line: I often ask myself, how could I possibly embrace another pinkish lipstick...especially one that will bring something new to my collection?! 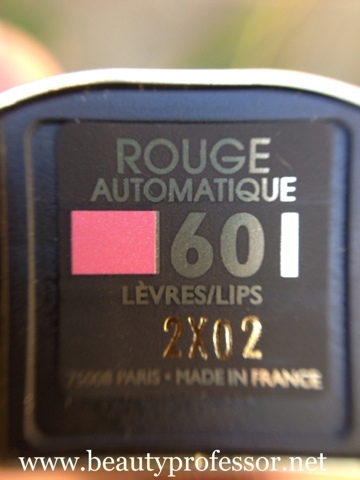 Guerlain Rouge Automatique in #601 Romance, however, is so special, that I am contemplating a backup. The medium coverage, delicate shimmer, unique pink/purple color and, hydrating formula, beautiful sheen and remarkable case make this a truly worthy purchase. Highly recommended! 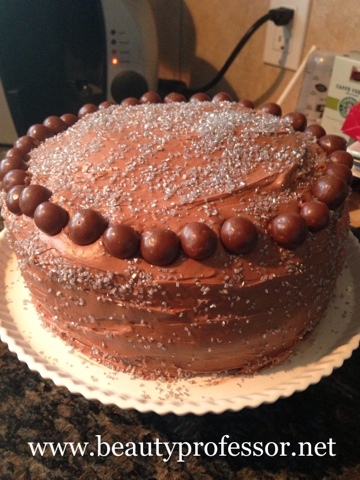 Above: Homemade chocolate malt frosting flung all over the kitchen. After spending the day baking a cake, making frosting, having a mishap with said frosting thanks to an errant brush with the lever of my KitchenAid (see above and below), washing the frosting out of my hair and clothes and making a copious amount of garlic bread in preparation for my family's annual Christmas Eve gathering, I realized that I was left with only ten minutes to get ready for the big event! This reality left me with no time for hot rollers, no time for false eyelashes, no time even for a full face wash, all as originally planned...instead, I had to get ready in a major pinch! Above: Frosting lodged in my hair and on my clothing...lovely. 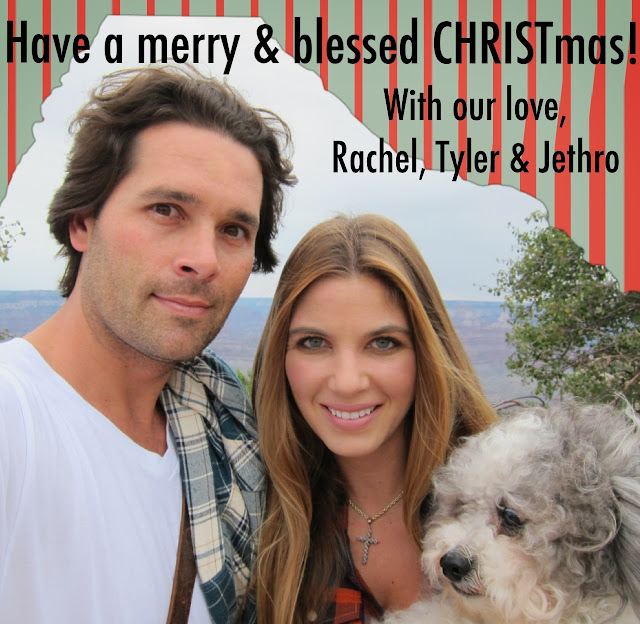 The latest and greatest from beauty blogs everywhere...enjoy your reading time and have a blessed Christmas!! 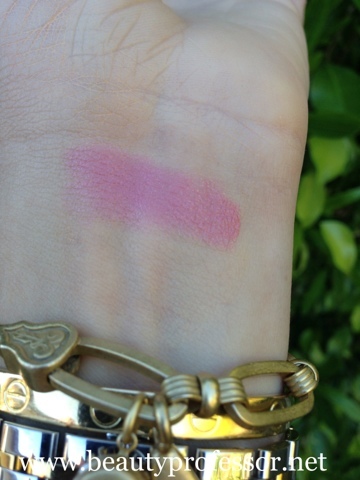 BlushingNoir: Is the MAC Taste Temptations Quad really so tempting? 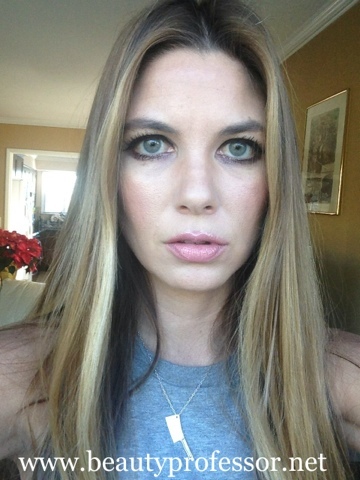 Check out the EOTD and see for yourself! Confessions of a Sarcastic Mom: Destany showcases some Went Wild Wild Shine lipsticks! Painted Ladies: Painted Ladies has partnered with Cetaphil and is giving away a $100 Visa Gift Card and has a $3 coupon, as well! TheFabZilla: If you give love a bad name or you're livin' on a prayer , then you know why TheFabZilla snagged this palette. Bon Jovi fan? die hard here! So will she be laying down in a bed of roses with the Balm's Balm Jovi Rockstar Palette? 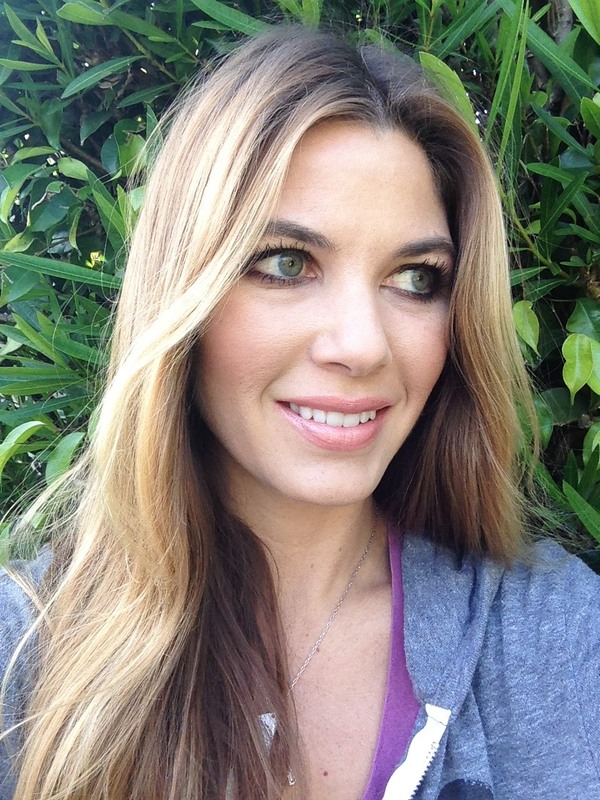 Lola's Secret Beauty Blog: "New Year's Resolutions From 8 Beauty Experts" article by Katie Jones, from My Daily, Features Lola's Secret Beauty Blog! Beauty Professor: Rouge Bunny Rouge has a new foundation, Skin Sanctuary, and the Beauty Professor has swatches of all shades! Mama Fashionista: Got gift cards? Here are some awesome ways to treat your tips (and use that gifted plastic)! 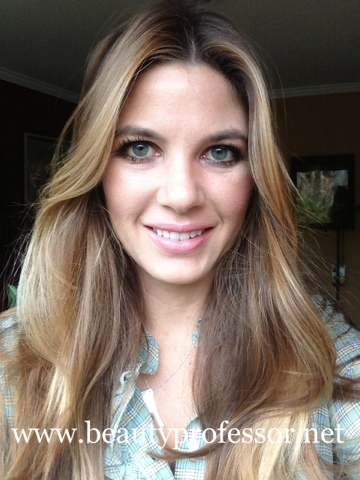 Emily Hudspeth, hair and makeup: DIY Sugar Scrub- A great holiday gift! Icy Nails: Erika got sidetracked from her polish obsession and reviewed the Too Faced Shadow Bon Bons Palette for Christmas/Holiday 2012. BeautyJudy: BeautyJudy got the marriage proposal of a polish addict's dreams, complete with Nicole by OPI and "Unicorn Puke!" 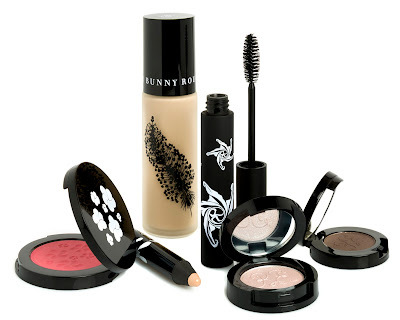 Beauty Info Zone: Learning about a new cosmetic company is always fun for us at Beauty Info Zone. We are excited to share with you some Christina Choi cosmetics. You'll be impressed. BeautyTidbits: Still need to find that perfect gift for your loved ones? Check out the World Vision Gift Catalog for a selection gifts that give back this Christmas. Plus enter to win a Thai Silk Scarf! 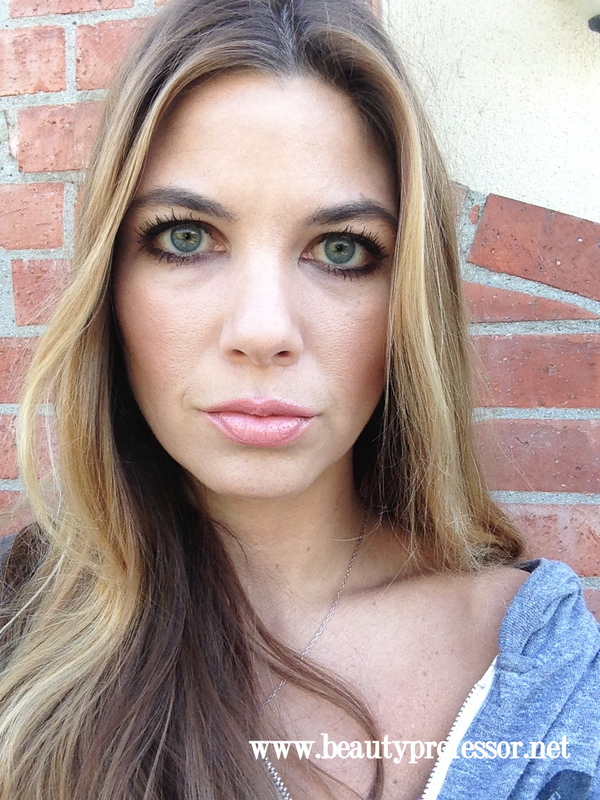 Endless Summer: Elena reviews Russian monthly subscription beauty box - GlamBox. 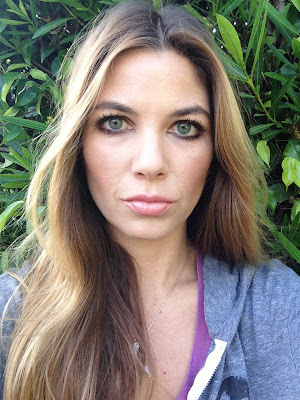 Beauty by Miss L: This week Miss L created purple smokey eye look. My trip to Francisco last month yielded many wonderful things...good times with my family, a lovely stay at the Fairmont and some fantastic Black Friday shopping spoils. 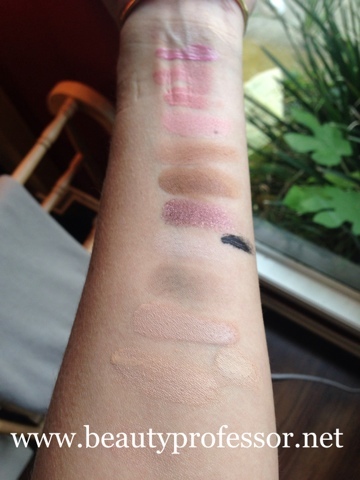 It also yielded a bevy of swatches that I am happy to share! Below are swatches of the Dolce and Gabbana Luminous Foundation which was released a few months ago. I own and sporadically use the Dolce and Gabbana Perfect Finish Creme Foundation in Natural Glow (#100) but haven't yet tried this latest installment (although the buzz online seems quite positive!). For the woman who desires to enhance her natural beauty with a complexion that gleams with lustrous radiance. Dolce & Gabbana presents a sophisticated, modern fluid format for foundation that is silken and sensuous. Dressing the skin with radiant, golden light, the complexion appears perfected with a flawless, dewy finish and impalpable coverage. 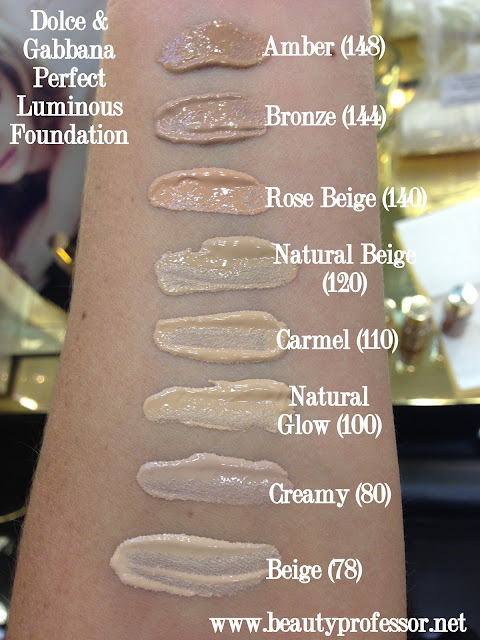 Each shade offers skin an amazing natural looking coverage with skin conditioning and hydrating benefits. Made in Italy. I hope these swatches are helpful...enjoy and Merry Christmas!! The Dolce and Gabbana Luminous Foundation can be purchased at Saks, Sephora and Harrod's. The latest and greatest from beauty blogs everywhere...enjoy your reading time and Merry Christmas! 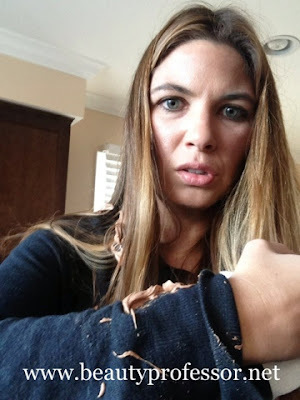 Amber Did It! : You're a mean one, Mr. Grinch, but you look so cute on Amber's nails. Never Gonna Give You Up: Kara's nails are inspired by a holiday movie. 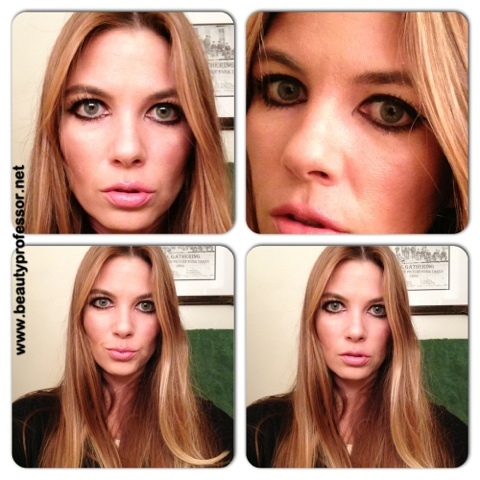 Makeup Demon: Black eyes makeup - makeup idea for a party or as fashion makeup. 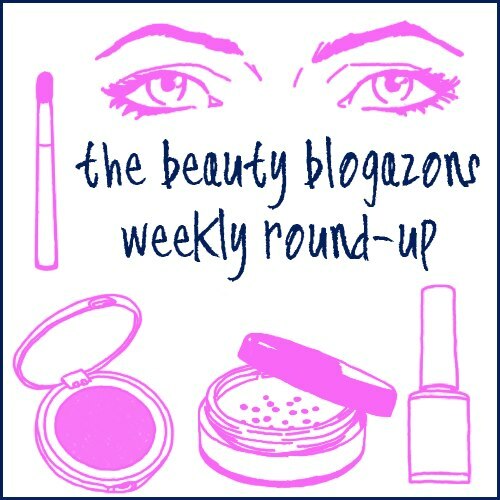 Lola's Secret Beauty Blog: If you love a vampy lip, but prefer a more sheer version- then check out the Burberry Lip Mist in Blueberry- it's a favorite at Lola's Secret Beauty Blog! Très Beau Glamour: Winter's near and it's time to really think about what's important and needed. Nay shares her favorite fashion winter essentials. Lacquer Buzz: This week's Monday Blues is festive! Check out these beautiful snowflakes! 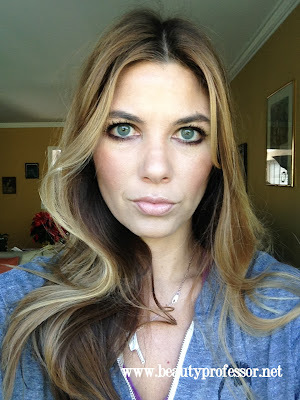 Beauty Professor: The Beauty Professor is always pressed for time...watch her "five minute face" video tutorial for a full face in a flash! SoFlaJo: In Remembrance - Nails for Newton. Lisa's Nail Obsession: Check out these layered dot flowers in pink and white. Mama Fashionista: It's not too late to scoop up some of these awesome bath and body gifts (if you're willing to brave the last minute crowd)! 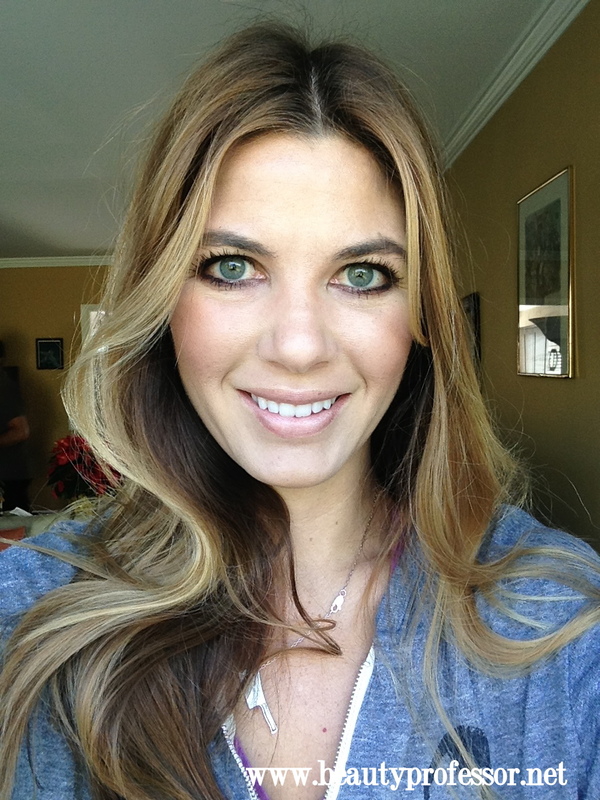 Rachel's Makeup and Skincare: Rachel shares the goodies she received in her December Glossybox and Winter USA Luxebox. 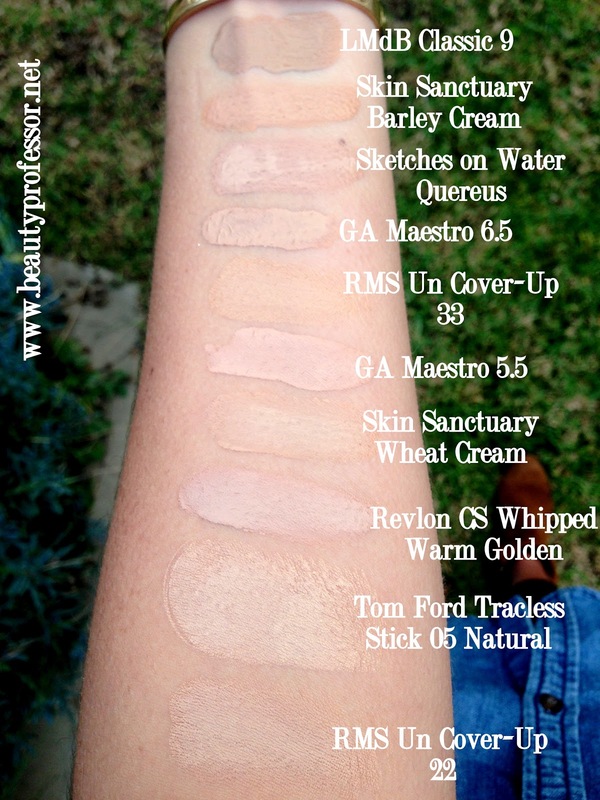 Rouge Bunny Rouge Skin Sanctuary Foundation Swatches! Above: My samples of Rouge Bunny Rouge Skin Sanctuary Time Defying Foundation. When I got the news that Rouge Bunny Rouge had released a new base, Skin Sanctuary Time Defying Foundation, I could hardly contain my excitement! 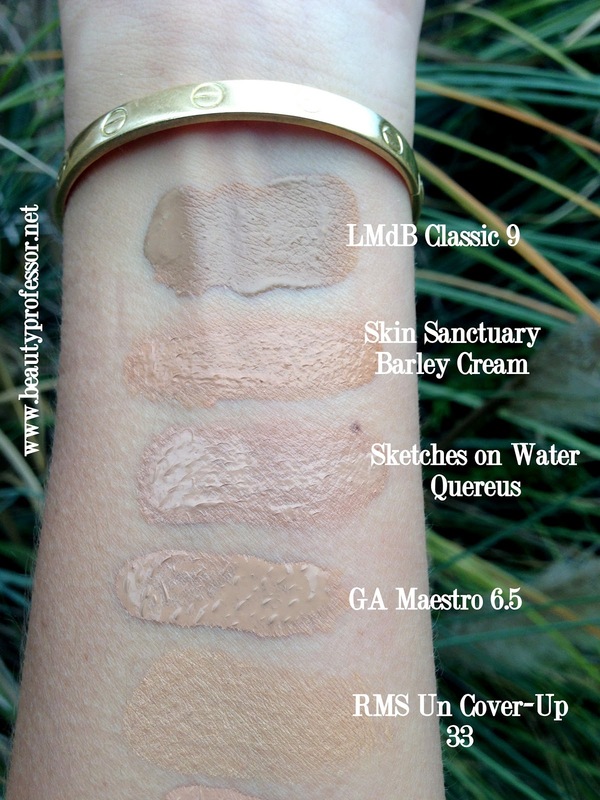 My love for both this brand and foundation as a product is no secret...in turn, I am happy to share with you swatches of the four shades! 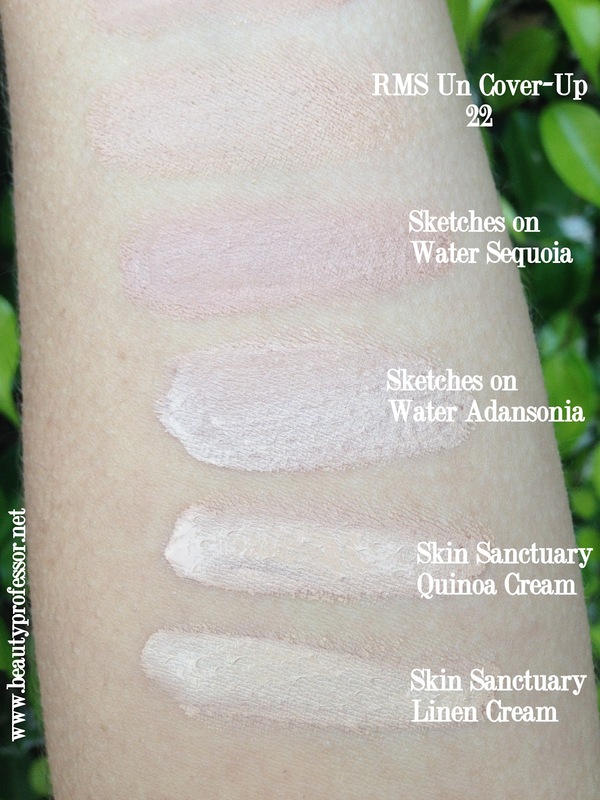 They are different than the Milk Aquarelle foundation shades, so the following images should be useful if you decide to order this product, sight unseen. 3. 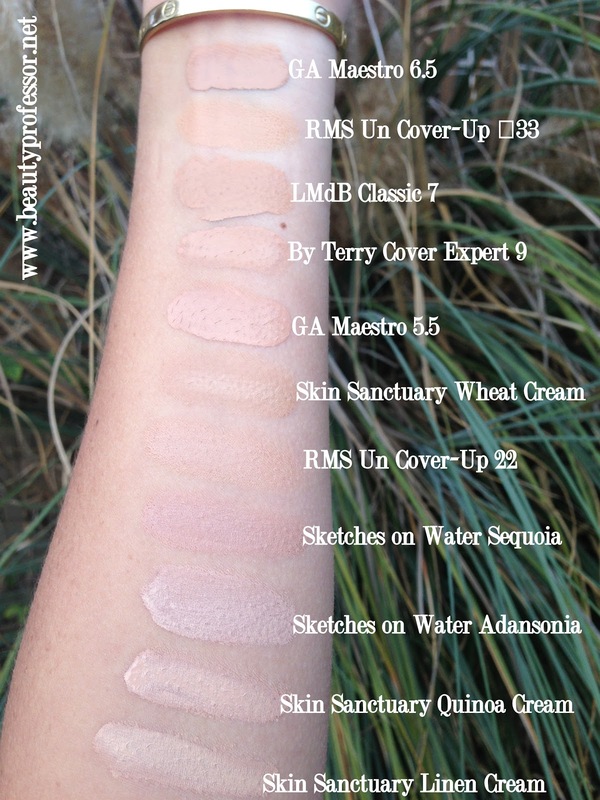 Wheat Cream: Medium tawny beige (light to medium beige with warm yellow undertones...this is closest to my skin which is NC 25-27 for most of the year). Anyone in the NC 25-30 range could get away with this shade! I have very little time to get ready in the morning and have perfected this "Five Minute Face" routine to make sure that I maximize my efforts with minimal time. All products swatched below are explained in the video...I promise, the whole effect takes just five minutes to achieve! The following images reflect my authentic "five minute face." Bottom Line: A polished look can be achieved quickly with the right products and a little practice...what products do YOU use for your five minute face? Blushing Noir: Check out the MAC 5 Neutral Eyes Palette from Holiday 2012 and see how un-neutral it can be! 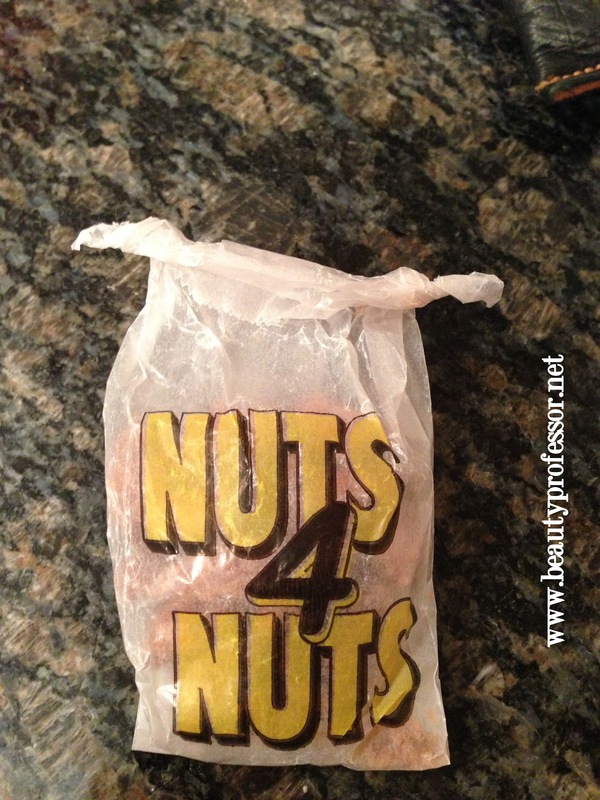 BeautyTidbits: Looking for the perfect gift for the jewelry loving gal? 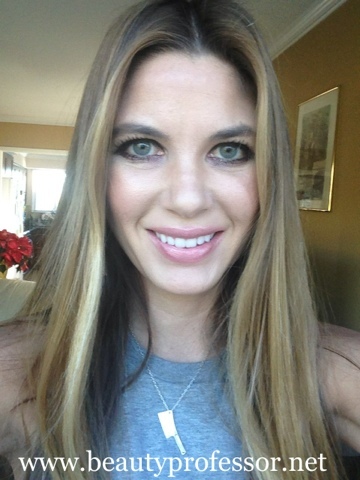 Check out Lisa Hoffman Fragrance Jewelry! TheFabZilla: Skin care that replaces water? 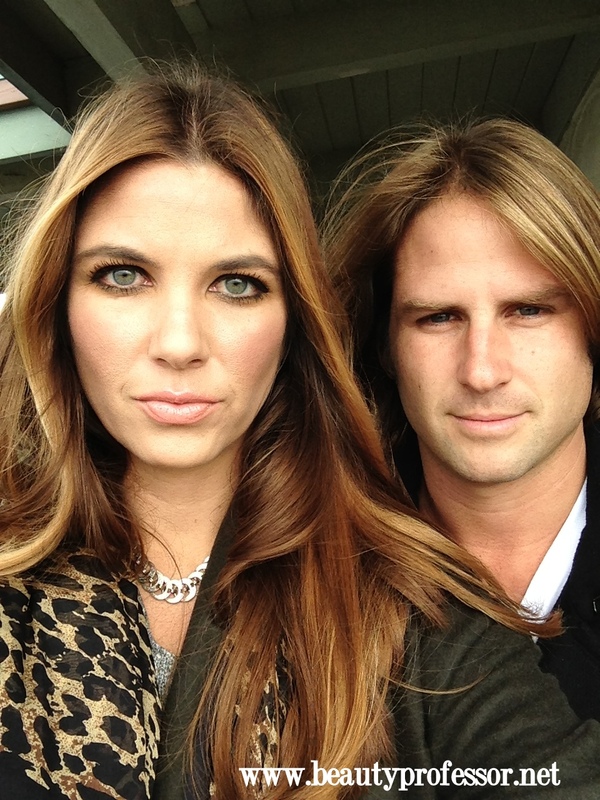 TheFabZilla reviews PUR attitude. Is it the coveted fountain of youth? 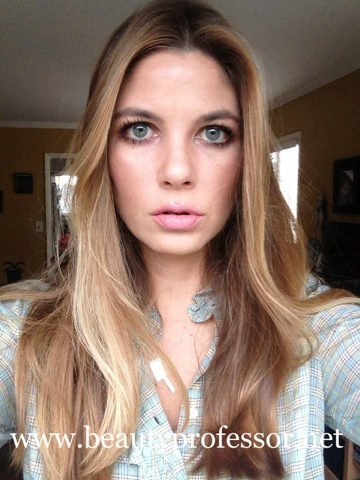 Painted Ladies: Megan tries Lip Rock Metallic Lip Foils - and it's a golden lipped glam fail! Lola's Secret Beauty Blog: Lola's Secret Beauty Blog has discovered the artfully handcrafted tweezers, scissors and manicure sets from Artestile. They are hardworking high quality tools made in Italy that are simply GORGEOUS! 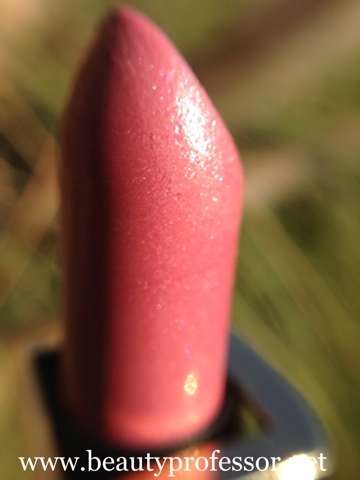 Beauty Professor: The Beauty Professor has found her perfect winter bronzer: Rouge Bunny Rouge At Goldcombe Bay! Mama Fashionista: Mama Fashionista shares why Bath and Body Works' Cashmere Glow is the perfect scent for the season! Curls N Pearls: This week, Christina from Curls N Pearls looks back at how her skin care routine has changed over the years. Beauty by Miss L: Miss L had an opportunity to review Adorebox which is a monthly subscription beauty box available in Estonia, Latvia and Lithuania. Polarbelle: Do you love holiday nail art? Check out Polarbelle's Christmas tree accent nail for a holiday flourish. 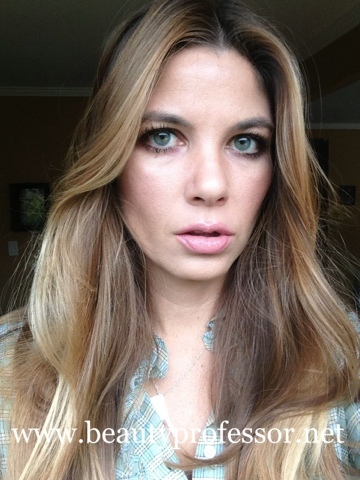 Beauty Info Zone: Beauty Info Zone is back with the Mystic version of Senna's Haute Nudes. A palette and bonus you don't want to miss. Hello...I hope your weekend has been going well! I just wanted to post a quick preview of my latest video tutorial, which should go live by Monday. It focuses on how I achieve my daily "five minute face" before I dash out the door to head to work in the morning. Limited amount of time + carefully selected products = maximum impact! Above and below: Swatches of all the products I use to achieve my "five minute face" as well as the final result...please keep your eyes peeled for specific product information and the actual video tutorial...coming soon!! Above: Sulwhasoo Snowwise Powder Foundation Compact boasts an impressive SPF 42 and amazing natural skincare ingredients. When my brother went to New York last month, he graciously picked up a few key items for me including Kevyn Aucoin Sensual Skin Tinted Balm, Nuts for Nuts (clearly not makeup but definitely a key part of the NYC experience) and this Sulwhasoo Brightening Powder Compact. I need another powder like I need another hole in my head, but alas, my summer tan has finally mostly faded, giving me the perfect excuse to try a lighter shade in a new (to me) formula! Above: I'd have these everyday if I could! I was intrigued by the fact that Korean brand Sulwhasoo, which is the sister company to Amorepacific, is really difficult to find...it is sold, of course, in Korea, as well as at select international online retailers and also at Bergdorf Goodman, where my brother procured my powder (which retails for $61). 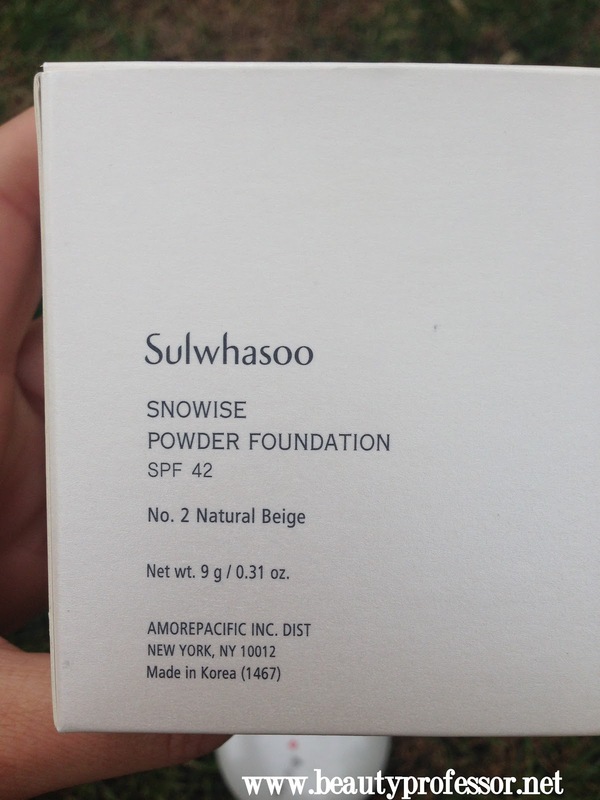 Sulwhasoo Snowise Pact SPF 42 PA+++ is a Korean Diffusa and Indian Bread extracts revitalize dull skin damaged by light and heat and treat skin circulation and blood circulation for a clear and bright complexion. Color Changing Powder evens out the skin tone and clear powder particles form a thin film on the skin for clean and bright skin tone. Above: The glossy white plastic compact is made of a sturdy, high quality plastic that is durable, yet not impossibly heavy to carry in one's handbag. The powder comes in a beautiful glossy white compact with a generous mirror and an extra sponge applicator. 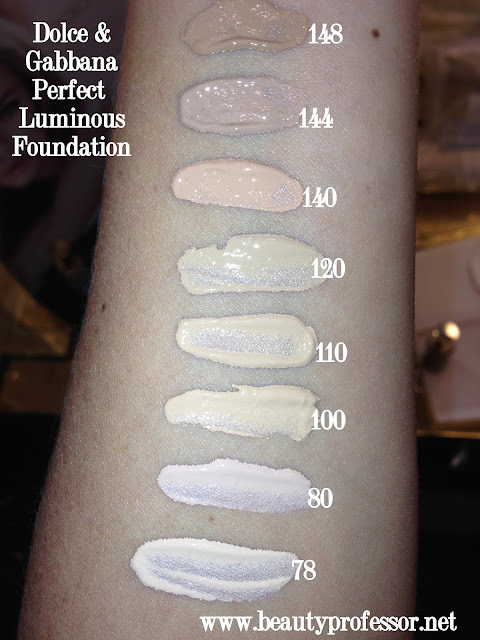 I selected #2, Natural Beige, which is a light yellow beige suitable for skin tones in the NC 20-NC 30 range. Above: This powder comes in two shades, Blooming Beige (light and pink toned) and Natural Beige (slightly deeper and yellow toned). 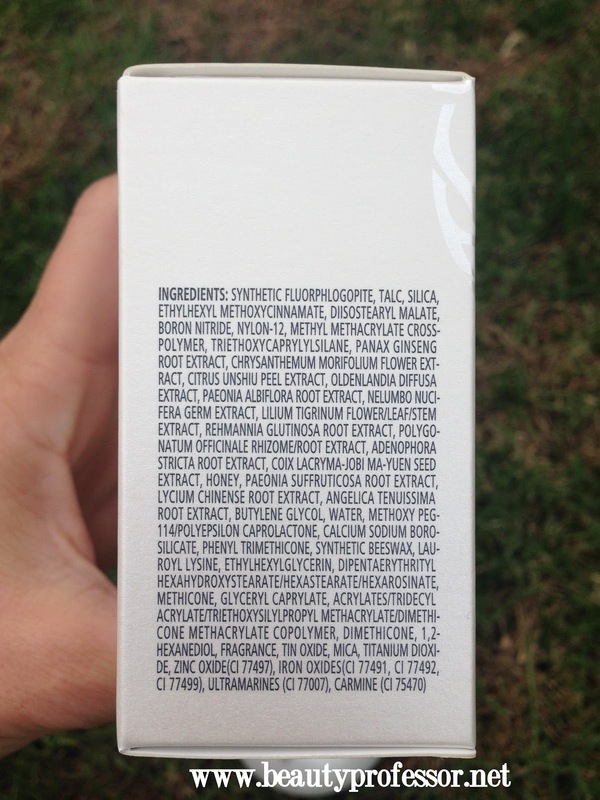 Above: The ingredients...this contains many different root extracts and one of my favorite things...honey! Above: The compact has a top tray to keep the sponge separate from the powder. 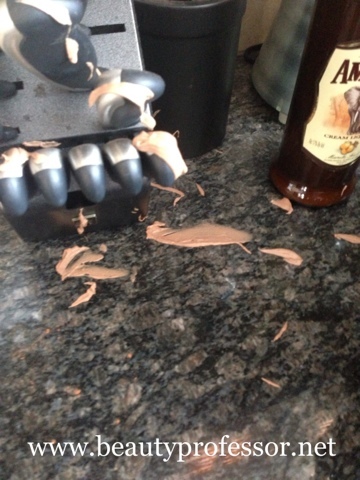 Above: Under the clear tray resides the powder itself. Above: Natural Beige is a light golden-toned beige (similar in tone to Koh Gen Do Triple Lightening Powder in BE-1). Above and below: Swatches of the Sulwhasoo Brightening Powder Compact in #2 Natural Beige in outdoor light. It is silky, finely milled and more opaque than I initially expected it to be! There is also a microscopic glow to this powder...nothing glittery or shimmery, just a radiant glow. A little goes a long way...just one pat of the sponge on my T-zone and I am good to go. It controls oil, enhances evenness and extends the wear time of my foundation of choice, all the while looking quite natural. Above: Swatch comparison of NARS foundation powder in Santa Fe (better when my skin is NC 37-30) and Sulwhasoo in #2. 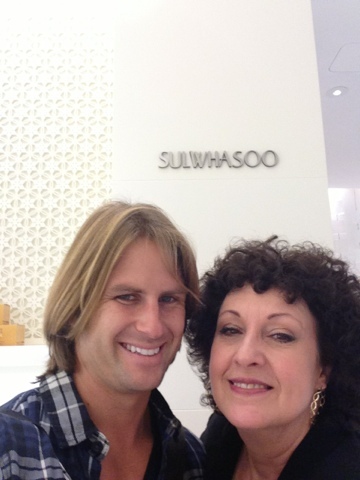 Above: My brother (www.sethwegter.com) and the kind and knowledgable Sulwhasoo specialist at Bergdorf Goodman NYC. Above: My brother and I...I am wearing the Sulwhasoo powder (in direct sunlight)...this photo best shows how it imparts light on the face (and no white cast!). Above: Sulwhasoo on the face (over a bit of Tom Ford Traceless Foundation Stick in #5). It provides a matte yet radiant finish! Bottom Line: This powder is a new favorite...just a tiny bit sets my makeup (from Tom Ford Traceless Foundation Stick to Revlon Colorstay Whipped Creme foundation, this a beautiful finishing powder over base!). I like to use the sponge to lightly apply it across my T-zone and it wears wonderfully...adding natural glow and radiance as the day goes on. My sensitive skin hasn't had a single negative reaction and I anticipate wearing this for the months to come. I am beyond intrigued with my foray into the world of Sulwhasoo and cannot wait to try other products in this line!